Retired 1st Sgt. Keith Melick and retired Army Special Forces Command Sgt. Maj. Roy Wilkins were on a mission in Kandahar Province in Afghanistan in 2004 when their caravan was hit by an IED. Roy was seriously injured in the blast, but was pulled from his Humvee and survived. Ten years later, at a VA Medical Center in North Carolina, Roy was swapping military stories with another Army veteran, Keith Melick, when the pair realized they had already met. Keith was the medic who’d pulled Roy from the wreckage. 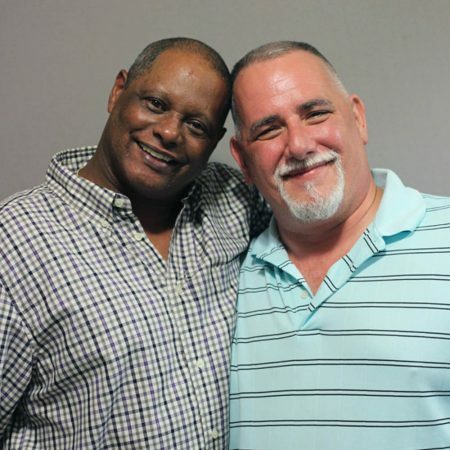 At StoryCorps, Roy and Keith sat down to talk about their memories of both encounters. The chance reunion—that took place in 2014—marked the beginning of a deep and lasting friendship; Roy and Keith have spoken on the phone every week since then. Produced by StoryCorps. Originally aired November 29, 2014, on NPR’s Weekend Edition Saturday.